By using a flexible league model – based on location, experience, age groups and development levels of players, teams and clubs – the CCL is intent on maximizing player development opportunities. With the addition of the Greater Raleigh Area this will help establish the Carolina Champions League throughout the State of North Carolina. The creation of the CCL mimics some other leagues that were built by a collection of top clubs working together to form the best environments for the players. This is an exciting time for Soccer in North Carolina and with a player focus model. The Carolina Champions League will have a Greater Charlotte League and a Great Raleigh in the fall of 2018. We are very excited with the addition of the Greater Raleigh Area, adding like minded soccer people who are focused on establishing competitive, healthy environments for players to thrive in the game. This is a great step in establishing a long term blue print for the State of North Carolina. Liberty Soccer Academy is very pleased to be joining the Carolina Champions League. We are proud to partner alongside other like-minded programs from around North Carolina that put player development first and seek to create an excellent competitive experience for players and families alike. We are proud to spearhead the Greater Raleigh extension of the Carolina Champions League. This US Club-based competition platform will give soccer programs of the Greater Raleigh area access to consistent localized and state-wide competition on a scale that is focused on quality over quantity and player development. The structure is club-friendly and allows scheduling to be done in a more convenient and progressive fashion. The future is bright for the Greater Raleigh Area as well as the state of North Carolina! 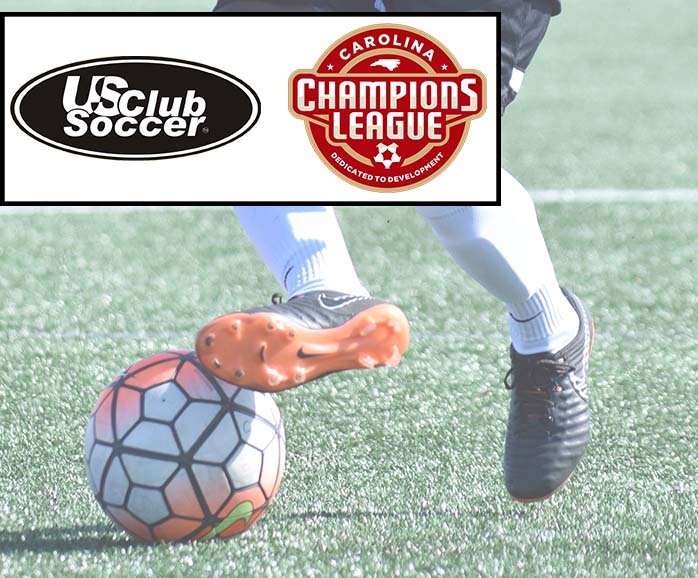 Liberty Point Soccer Club is very pleased and excited to be a part of the Carolina Champions League. The CCL provides us the opportunity to have statewide competition, program oversight on game days, friendly game travel and a technical oversight committee. We look forward to working with all the clubs this coming year. Elite Youth Soccer is very happy to become a part of the CCL because we share the same vision of building opportunities for young athletes and the game of soccer to grow in North Carolina.